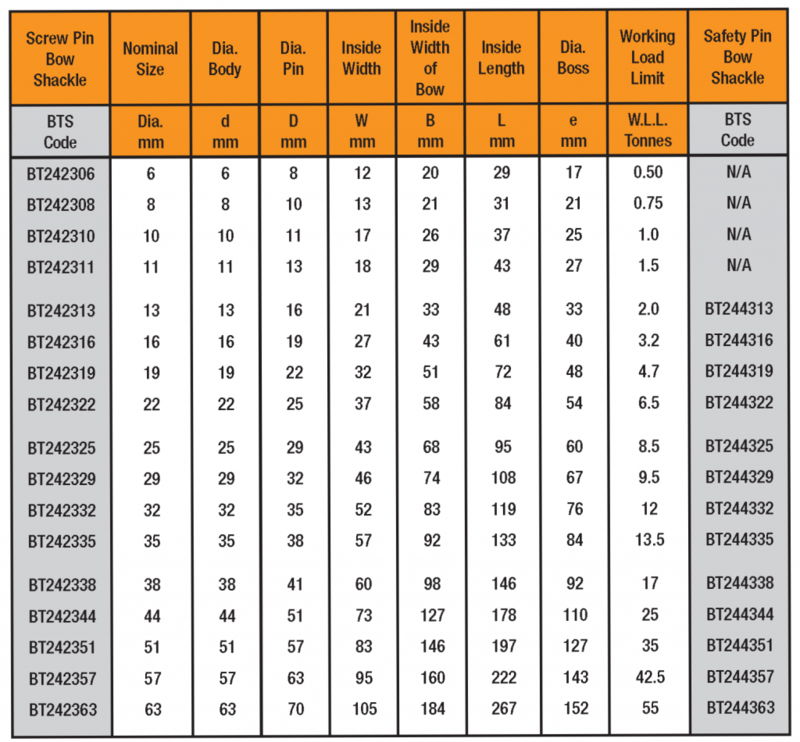 BTS Alloy Grade ‘S’ Shackles with Orange Pin have been developed in accordance with Australian Standard AS2741-2002 and European Standard EN13889-2003. 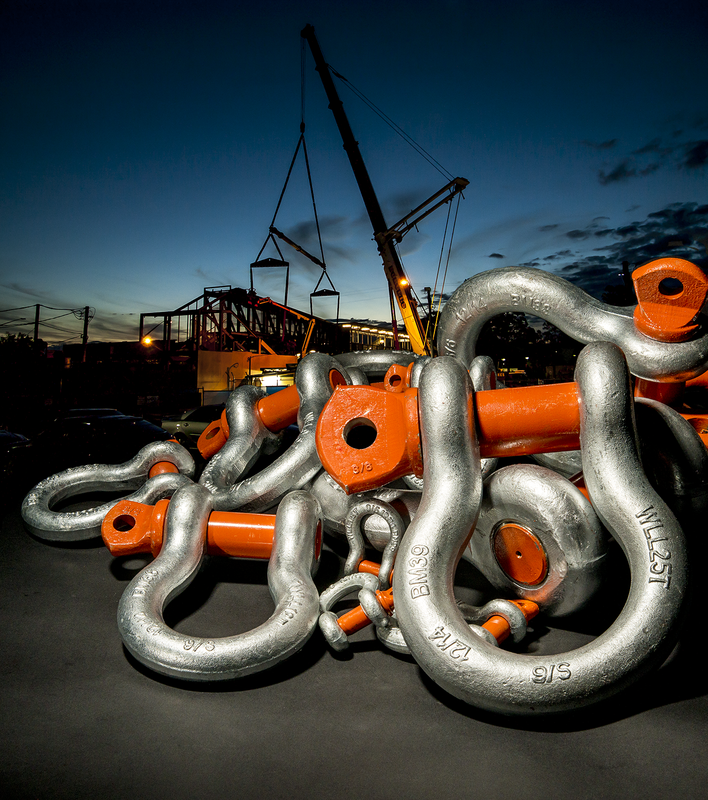 All BTS Grade ‘S’ Orange Pin Shackles are easily identified and traceable in accordance with our Quality assurance system. The following identification marks are forged on the shackle. Individually stamped with the working load limit in tonnes (i.e. W.L.L. 1T). The grade appears on the top of the shackle. 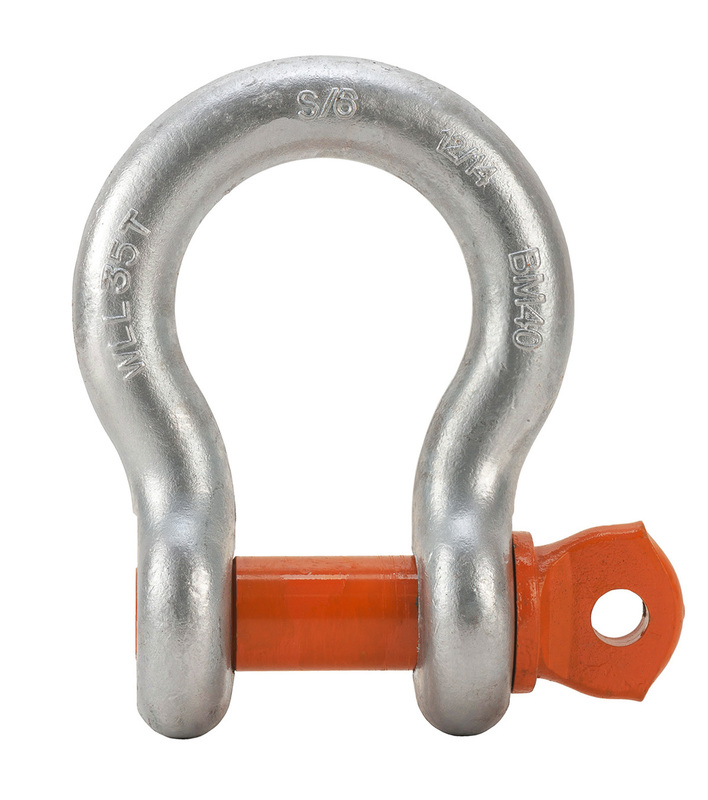 The letter ‘S’ indicating that it is an Alloy Grade ‘S’ lifting shackle. 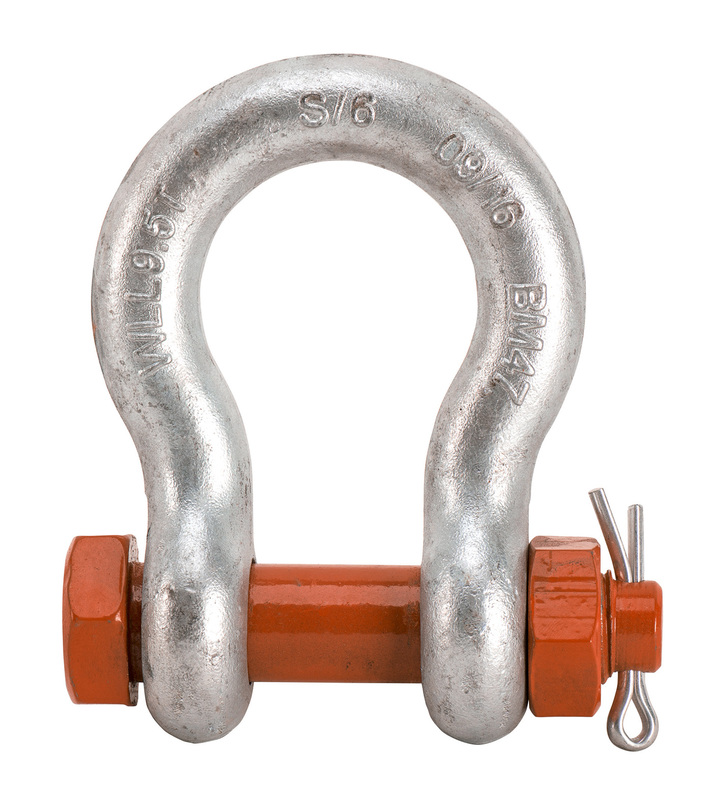 The number 6 indicates that the shackle is compliant with European requirements. An alpha-numeric number - prefi xed with “BM number” can be traced back to the test certificate. The month and year of manufacture adds further trace-ability of the materials used and to the relevant test certificates for sizes 6mm to 57mm. 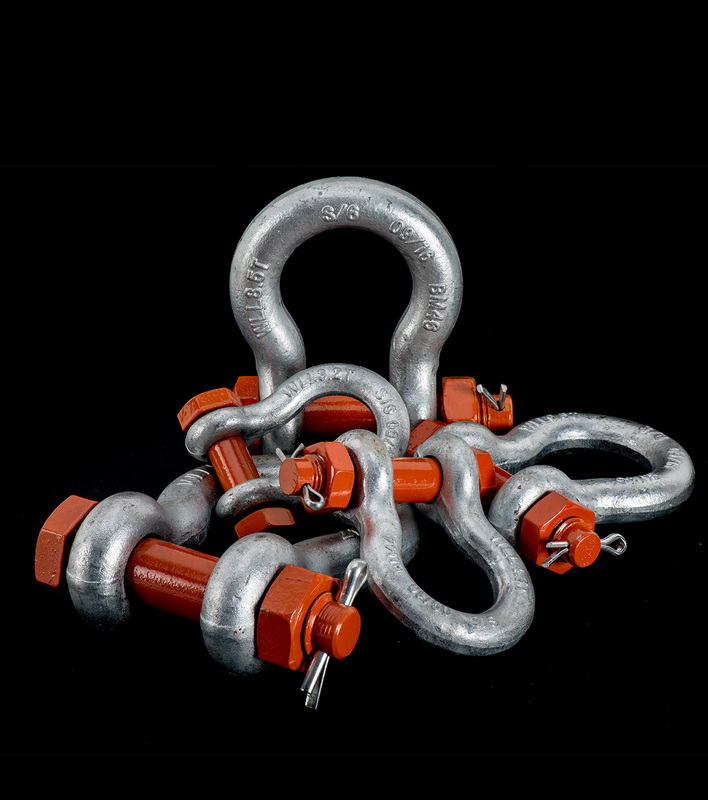 When requested, and at no extra charge, BTS Alloy Grade ‘S’ Orange Pin Shackles come with BTS’s standard Test Certificate. Alternatively a BTS NATA Test Certificate can be supplied at an extra cost. 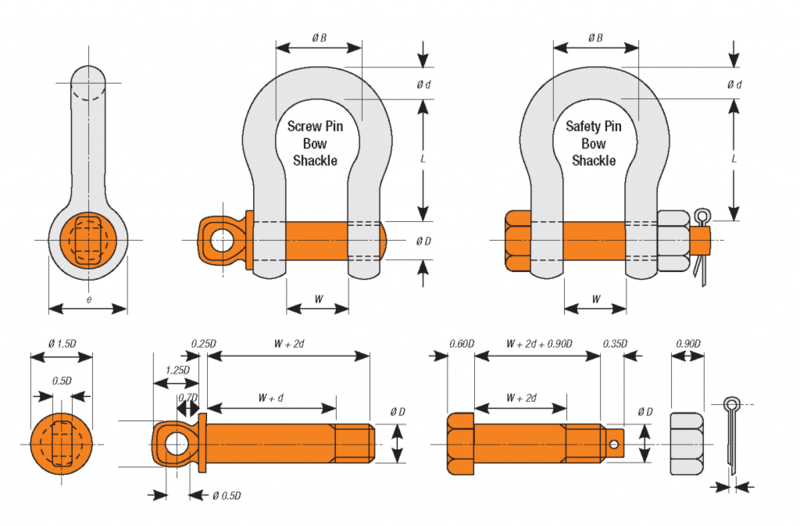 BTS Alloy Grade ‘S’ Orange Pin Shackle bodies are two thirds punched and the remaining third machined,this means consistent dimensions and that the shackle pin always fits correctly. BTS Alloy Grade ‘S’ Orange Pin Shackles come in Screw Pin Bows & Safety Pin Bows. BTS always offers the latest technology in shackles such as Grade ‘S’. BTS consistently carries out research and development in Australia and overseas to establish quality products which BTS are proud to be associated with and to promote. When the BTS name is associated with a product, you can be sure that all relevant Australian Standards are always maintained in strict accordance with our ISO9001 Quality system. As a further assurance of quality control, BTS carries out its own in house independent random proof and break testing. 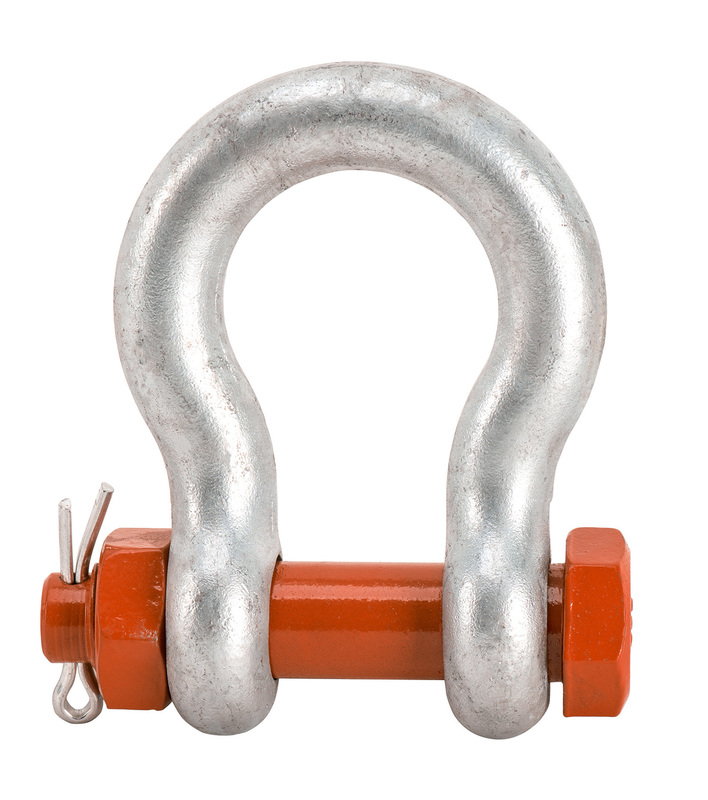 This is an added safety precaution to maintain the reliability of the products BTS recommends and is in addition to any manufacturer’s test certificate supplied with lifting products. 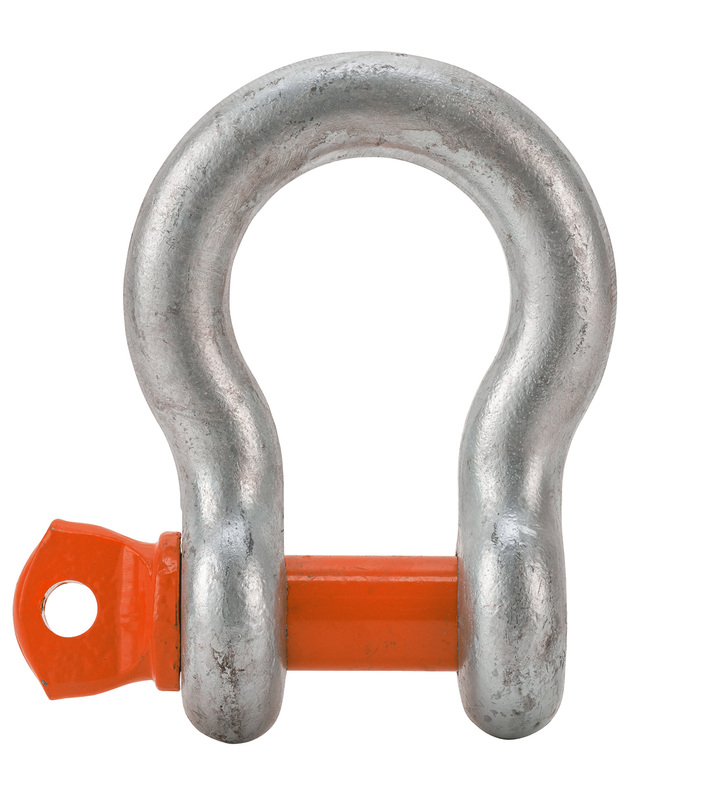 At a glance, a safety lifting product such as the BTS Alloy Grade ‘S’ Orange pin shackle can be easily identified and safely used by the following steps. First, identify the easy to read MARKINGS which indicate the test number - correlated with the month and year of manufacture. Second. Identify the LETTER that indicates the grade of the shackle. For example: BTS Grade ‘S’.